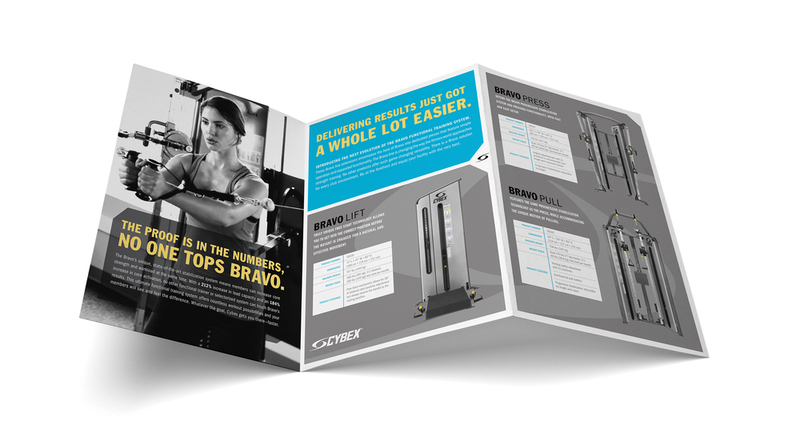 The Cybex premium fitness equipment brand is steeped in physical sciences and biomechanical studies. Inspired by this, MDG developed a brand foundation and subsequent campaign that successfully positioned Cybex as the only fitness equipment manufacturer that drives every initiative based on in-depth knowledge of human form and movement. We developed a modern vernacular, strong integrated brand message and visual identity system that dynamically conveyed the energy of the brand. Every point of contact from trade shows, web presence, print campaigns, videos and catalogs were considered while crafting this integrated and resonant program.